In the last entry, we explored waterfalls north of Dahlonega, Georgia. There are many more waterfalls in the surrounding area for those that take the time to seek them out. 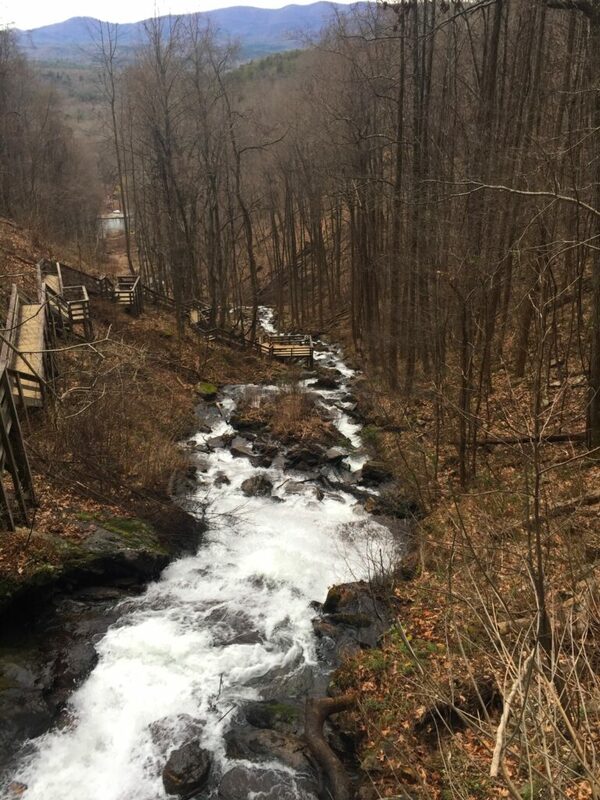 One of them you won’t want to miss is 729-foot Amicalola Falls. Not only is it the tallest waterfall in Georgia, but it is also one of the highest cascading waterfalls east of the mighty Mississippi River. Amicalola Falls is located in the 829-acre Amicalola Falls State Park & Lodge, located near Dawsonville, Georgia west of the Dahlonega area where we have been exploring over the past several entries. The falls name is derived from a word in the Cherokee language meaning “tumbling waters.” The State Park is one of the most popular in the state of Georgia. the falls. No hiking required. 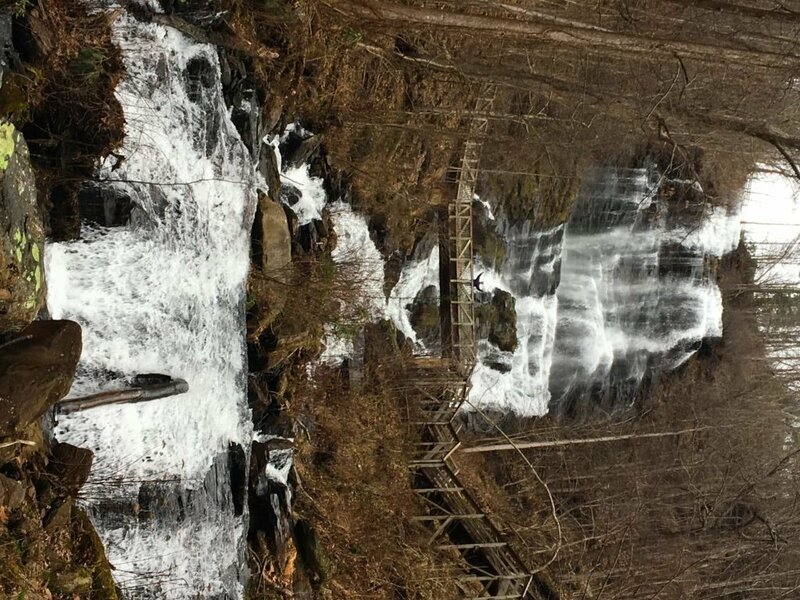 You can view them from the top via a bridge spanning the creek just feet from where it cascades off the edge of the cliff only a short stroll from the parking lot. In addition to the falls, the state park offers camping, zip lines, cabins, a lodge, and hiking trails of varying lengths, including an approach trail to the famed Appalachian Trail or simply the A.T.
Amicalola Falls State Park is located at 418 Amicalola Falls State Park Rd, Dawsonville, GA 30534, USA. Those navigating by GPS will find the entrance to the park at N34° 33.257 W84° 15.048. There is a day use fee to visit the park. The park is managed and operated by North Georgia Mountains Authority and Coral Hospitality. Click here to view the concessionaire’s website for the park. 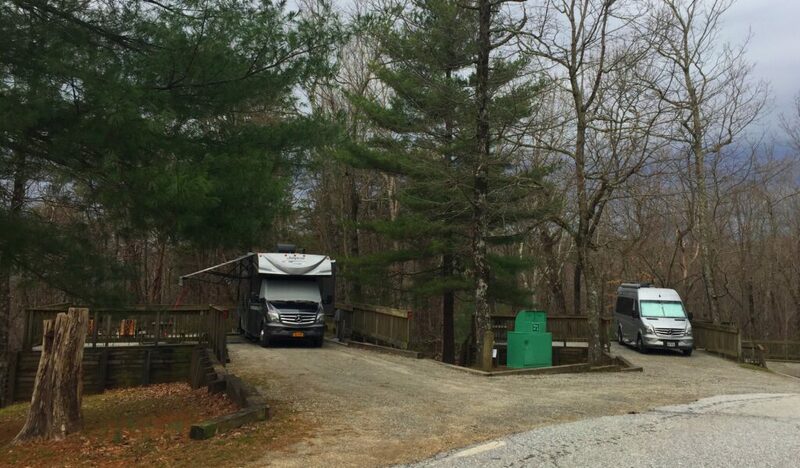 There is a spacious campground with 24 wooded campsites for RVs and tent campers and is suitable for most any size rig. 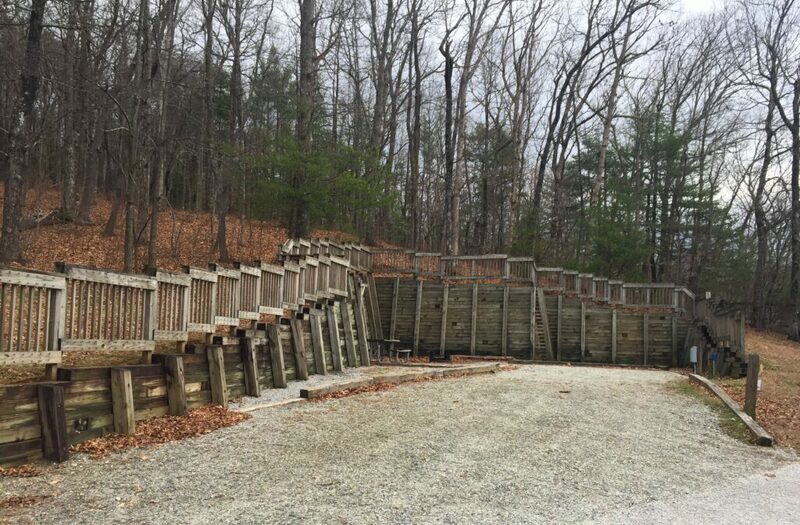 The back-in campsites feature water, power, picnic tables, grills, and fire rings. Given the terrain of the area, many campsites are cribbed into or above the rolling hillside. There is an approximately half-mile-long 25% grade to reach the campground and top of the falls viewpoint. Be sure your engine and brakes are up to the task. Click here for more information on the campground. You can also learn more about the park from CampgroundReviews.com.